Am I Candidate? 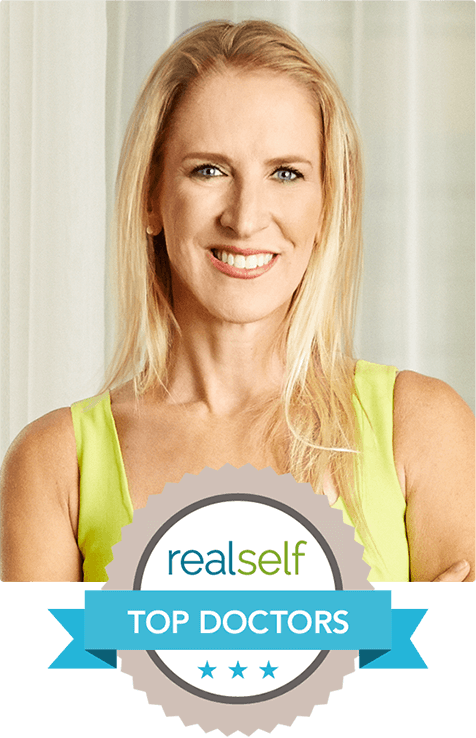 Find out if breast reduction is right for you. What Are My Options? Understand your breast reduction choices. Before & Afters See our incredible breast reduction results. Meet Our Surgeons Meet our world-class breast reduction specialists. Insurance Verification Will your insurance cover breast reduction surgery? 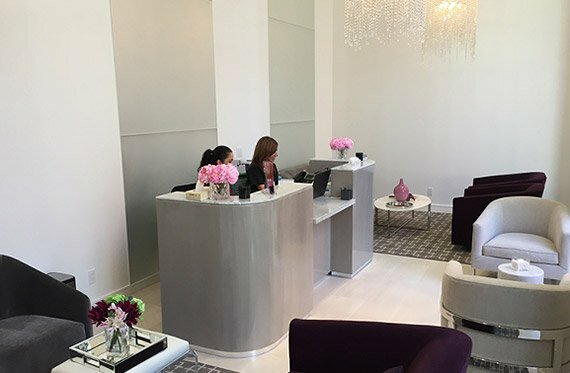 See Our Center Visit our state-of-the-art surgery center in Beverly Hills. What to Expect What to expect when getting a breast reduction. If you suffer from overly large breasts, you don't need to be told about the physical and emotional burden that accompanies this condition. 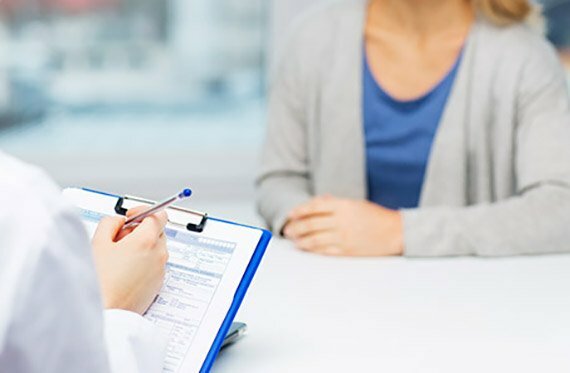 The Breast Reduction Center Los Angeles exists to provide dedicated care for women afflicted with this highly misunderstood condition. Together, our team of world-class Los Angeles breast reduction surgeons has assisted countless women to regain their health and restore their self-confidence. Many people fail to recognize the struggles that women living with overly developed breasts have to face every day. If you have extremely large breasts, chances are your friends have told you that they envy your bust. Perhaps others have even told you that you are lucky and should not consider getting a breast reduction. With so many social pressures and misconceptions regarding this subject, it can be difficult to find someone who understands you. Here at the Breast Reduction Center Los Angeles, we recognize that having overly large breasts is a valid medical condition that presents many social and physical challenges. For women who possess breasts far out of proportion with their body size, breast reduction surgery can bring about life-changing results. Apart from improved physical appearance, women commonly experience a renewed feeling of self-worth, reduced back and neck pain and improved sleep issues. Other benefits include improved clothing fit and the ability to once again take part in athletic activities. These are just some of the many benefits of breast reduction surgery. You deserve to be educated on all of your treatment options and you deserve to receive safe, effective treatment, delivered by leading surgeons in a state-of-the-art facility. Our center was created to do just that. If you are looking for the highest-quality breast reduction Los Angeles has available, you have come to the right place. Breast reduction surgery isn't just a procedure to be done electively, for cosmetic purposes, but in many cases it is a medically necessary procedure. When deemed medically necessary, the procedure is covered by almost all insurance carriers. The tricky part is that most health care plans have slightly different guidelines for determining whether the procedure is necessary to improving one's health. This can make things a little confusing. But don't worry, our insurance experts can help you determine wether you can get your breast reduction covered by insurance and ensure you get the maximum possible benefits from your plan. You can also use our handy insurance look up tool to learn about the specific guidelines that your insurance provider uses in order to qualify patients. It used to be that hospitals were the primary choice for advanced surgical care. Fortunately today you have a much more desirable option. 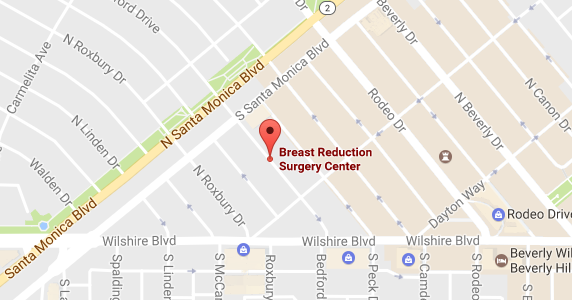 The Breast Reduction Center Los Angeles is a private breast reduction surgery center in Beverly Hills, California. We offer top quality surgical care in a completely state-of-the-art facility without the impersonal experience of large-scale hospitals. Our patients enjoy a private and relaxed environment that fosters personalized patient care and lends itself in every way to the optimal surgical experience. If you want the best care possible, you want the Breast Reduction Center Los Angeles. When considering an advanced plastic surgery procedure such as a breast reduction (also known as reduction mammoplasty), it is important to seek the care of a highly trained and experienced surgeon that specializes in breast procedures. At the Breast Reduction Center Los Angeles, we have assembled a team of top Los Angeles breast reduction surgeons. Each member of our team is an expert in the field of plastic surgery with extensive training and experience in surgical treatment of the female breasts. Each is passionate about upholding the highest possible standard of care and helping their patients to improve their quality of life. Our doctors have been featured by numerous publications, TV networks and programs such as The Doctors, ELLE, Dr. Drew's Life Changers, Rachel Ray, ET, Extra, Dr. 90210, and Discovery Health. If you believe that you are a candidate for breast reduction surgery and want to learn more, schedule a consultation with one of our leading Breast Reduction Surgeons. Making the decision to undergo a breast reduction is a big step. Naturally, you will want to ask many questions so that you can make a fully informed decision. During your consultation one of our expert doctors will ask questions to learn more about you. They will then explain the various treatment options and help you determine which fits your needs best. You will also be able to learn more about your insurance coverage and exactly what it covers. You don't have to struggle with the negative impacts and challenges of living with overly developed breasts anymore.